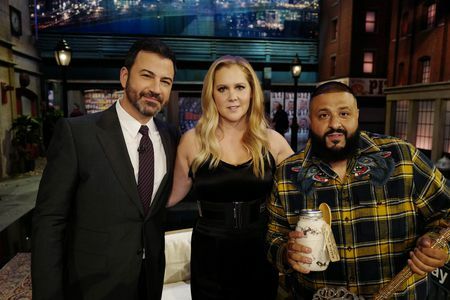 ABC’s “Jimmy Kimmel Live” returns to Brooklyn, New York, for five original shows starting MONDAY, OCTOBER 16 (11:35 p.m. – 12:35 a.m., EDT). Guests slated to appear include Billy Joel, David Letterman, Tracy Morgan, Amy Schumer and Howard Stern and more! Musical guests will include performances from LCD Soundsystem, Cardi B, Billy Joel and a special performance from the Tidal X show at Barclays Center. “Jimmy Kimmel Live: Back to Brooklyn” tapes before a live audience from the Brooklyn Academy of Music’s Howard Gilman Opera House. This is the third time Kimmel and his show have broadcast from BAM. Paul Shaffer, former bandleader on “Late Show with David Letterman,” sits in with the house band, Cleto and The Cletones, each night. Check out the full line up for this week below!